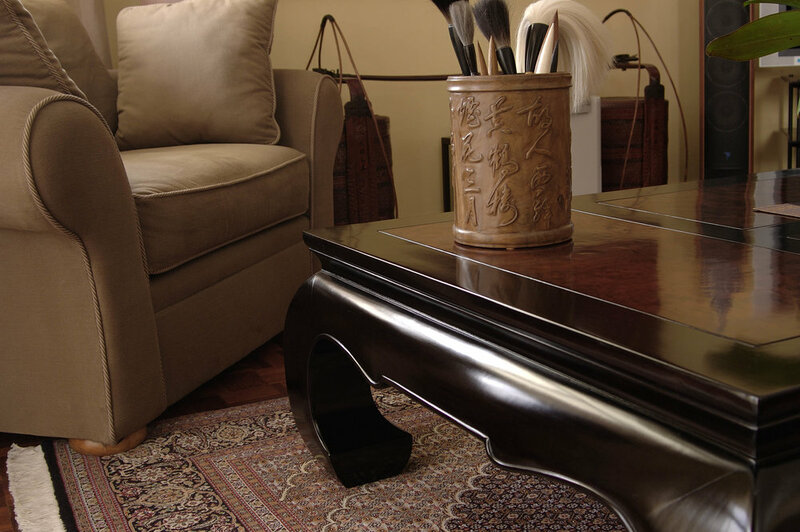 Plush sofas, fresh flowers, and a thoughtful collection of Asian objects of art form a rich backdrop for the varied styles of our furniture used in this client's home. The massive coffee table is one of a kind, made when large pieces of antique burl panels were still available as a salvaged material. 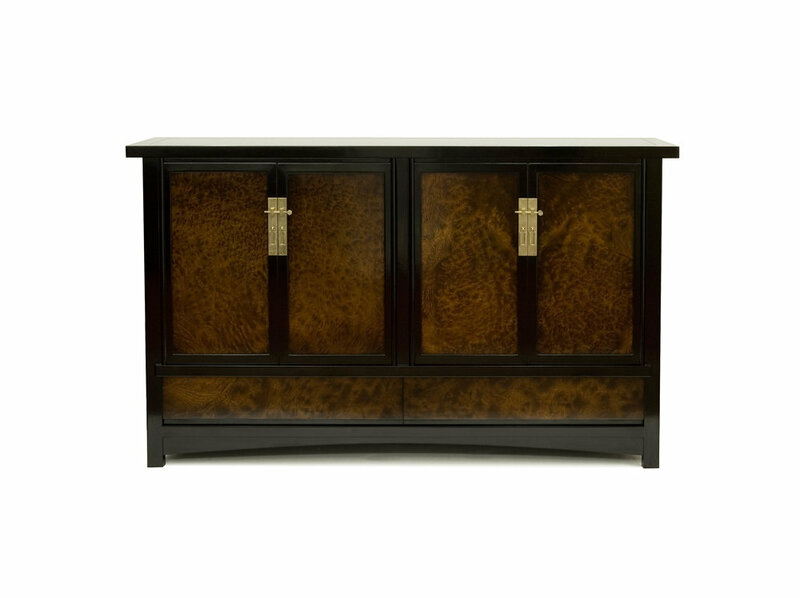 The client's love of burl is evident, having even picked our burl wood front sideboard with a subtle hint of Japanese aesthetic impression. 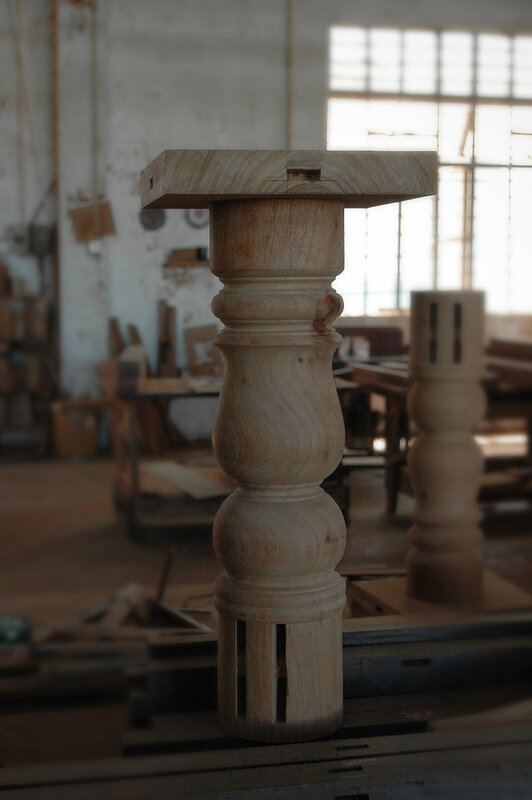 We are grateful to the client in entrusting us the work to custom design and craft the Queen Ann style extendable dining table set. 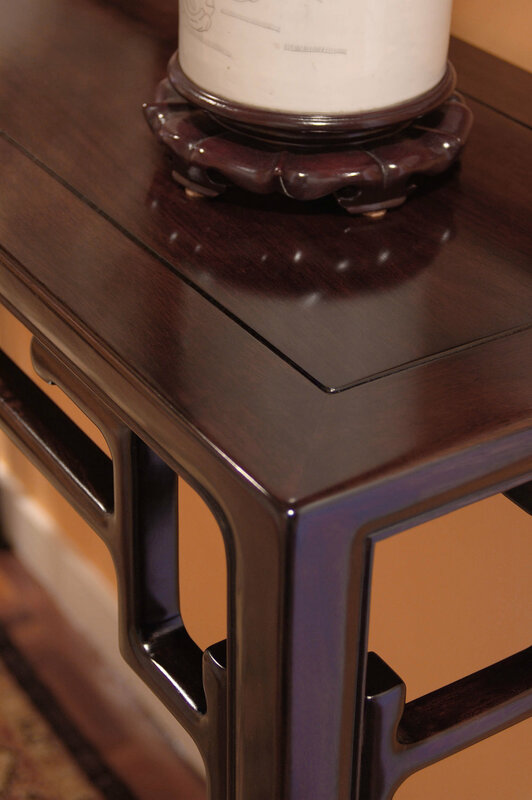 Perhaps the only similarity of this style to Ming style furniture is the cabriole leg. 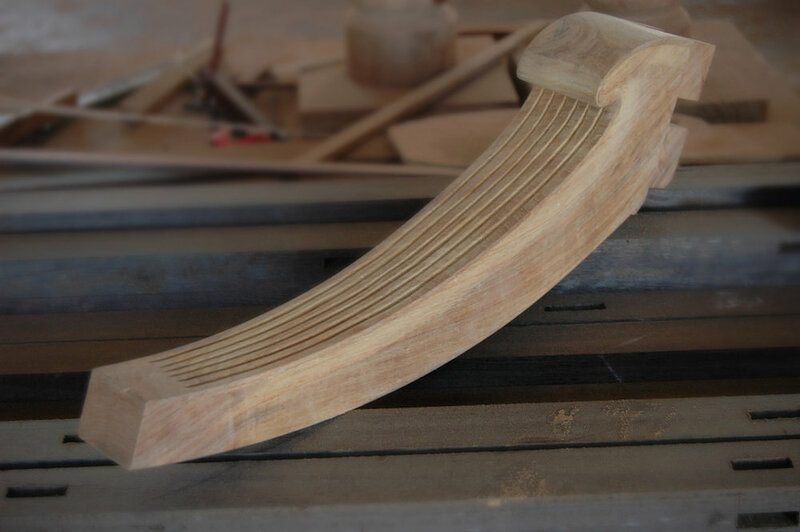 We undertook much research and design development work to ensure we can achieve the right mood and balance of details. 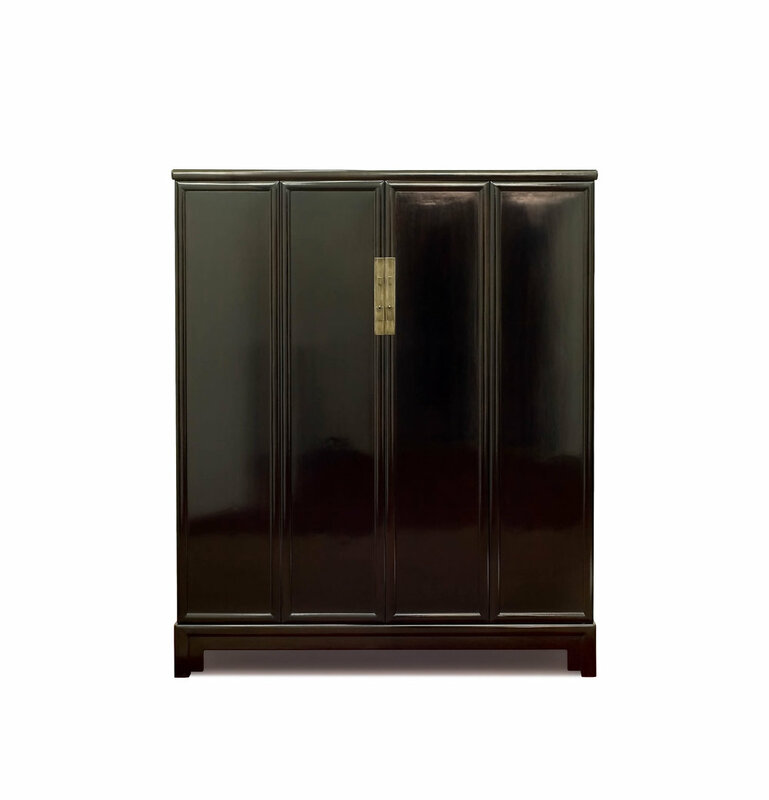 In using the meticulous Ming joinery structure, coupled with the finest finishing standard with authentic Natural Lacquer, this may be an interesting example of cultural fusion. 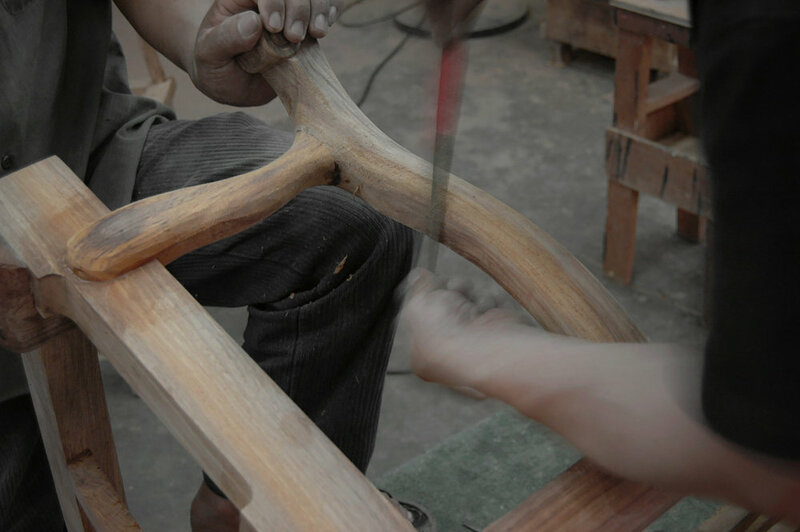 The chairs are shown before the inset seat cushions are placed. 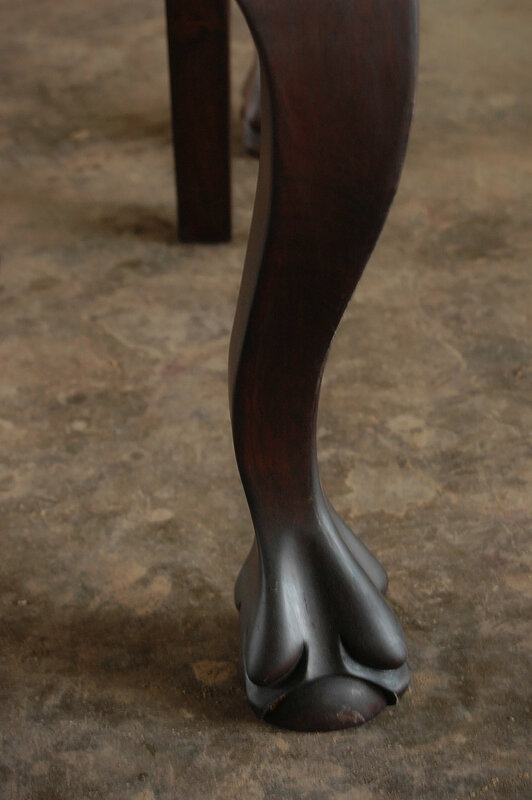 Each of the three legs are securely attached to the central post by four massive tongues. Bespoke crafting for styles like these are precious because it is purely hand made with absolutely no economy of scale. Commercial production emphasising on quantity and quick turn cycles never achieves the level of finesse displayed here.